Window shopping is easy when you know what to look for. At the Armortech showroom you’ll find many styles, shapes, features and glass packages when looking for windows and doors. Deciding on the perfect choice for your home and family is simple with our highly-trained service staff. Consider which style will best suit your home and your family, what thermal performance features will be ideal for Clearwater and the Tampa Bay climate, and which glass options will be most appropriate. After you’ve figured out the basics, have fun with glass and grid options and unique hardware choices. 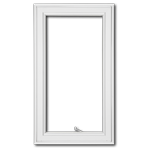 For simplicity windows, and doors that have been proven to resist the impact from large wind-borne debris are referred to as impact-rated products. 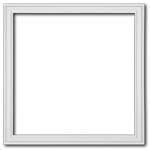 Each product that is approved for installation on homes in the State of Florida has a Product Approval that includes window installation requirements. 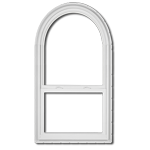 If your windows, or doors are impact-rated products with a Florida product approval appropriate for your area, and they have been installed according to the manufacturer’s installation requirements, then you know that they comply with the minimum requirements of the building code for your area. At Armortech you will find your new windows, and doors are installed by professionals that not only know the building codes in your area, but you will find our team is the best trained to help you with selection, style, fitment, and ultimate window installation. If you want to read more on the standards related to impact-resistant products, check out this very informative document: Debris Impact Standards. When it comes to windows and doors, vinyl is an all-around excellent choice. Unlike wood, vinyl windows and doors will never rot or require endless repainting. And unlike aluminum, vinyl windows and doors will never pit or flake. Our Simonton product line is made from the highest quality vinyl and requires almost no maintenance. In fact, an occasional washing will keep them looking like new for years. They offer increased comfort and lower utility bills, provide headache-free operation and add value to your home. StormBreaker Plus® 300VL Horizonal windows provide year-round peace of mind with proven impact-resistance to help protect your home from threatening storms and would-be intruders. Sashes glide smoothly on corrosion-resistant rollers allowing you to easily open and close your window to catch the ocean breeze. For coastal living, StormBreaker Plus 300VL Picture windows and doors are designed to help withstand high winds and wind-driven debris without the use of shutter systems. They feature an attractive beveled frame design, reinforced profiles for added strength and provide impressive energy efficiency. 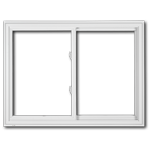 The StormBreaker Plus® 300VL Double Hung window combines the very best of impact-resistance with the low maintenance of a vinyl window. 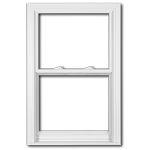 The traditional Double Hung window provides a classic appearance and a tilt-in sash to help make cleaning easier. Nothing frames a beautiful view while providing proven, impact-resistance against wind-borne debris like StormBreaker Plus 300VL Casement windows. Offering thermal efficiency, maximum ventilation and year-round low maintenance; they're the perfect choice for those who live near the coast. Geometric windows from Simonton provide legendary impact-resistant protection for complete homeowner peace of mind. And they're designed to complement the entire 300VL line of windows and doors beautifully.